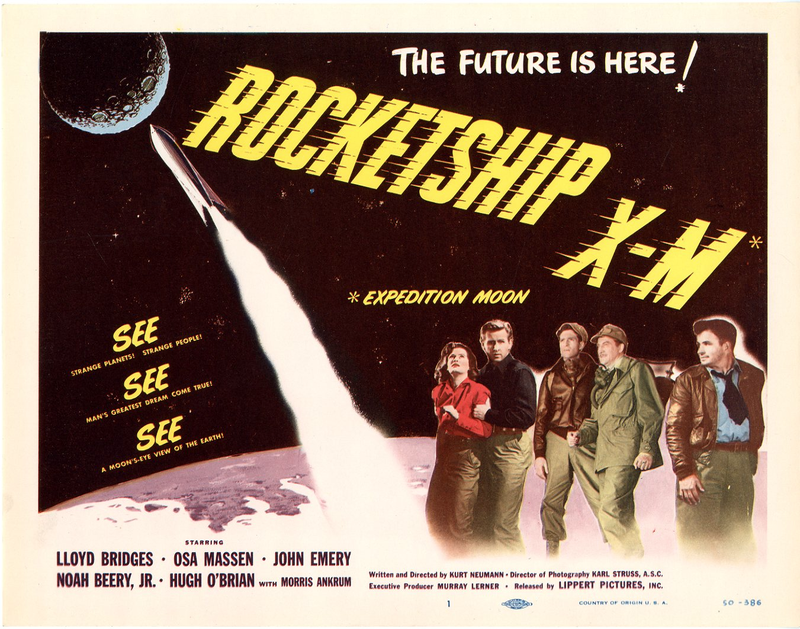 For this weekend’s Sunday Matinee, we’re going to the moon in 1950’s Rocketship X-M! A mission to the moon goes wrong when the expedition of four men and one woman ends up on Mars instead. Once they arrive at Mars, they discover a long-lost civilization that was destroyed by atomic warfare, and which has reverted barbarism. The film was produced and directed by Kurt Neumann, and stars Lloyd Bridges, Osa Massen, John Emery, Noah Beery, Jr., Hugh O’Brian and Morris Ankrum. Sit back, enjoy and weigh in on the comments!